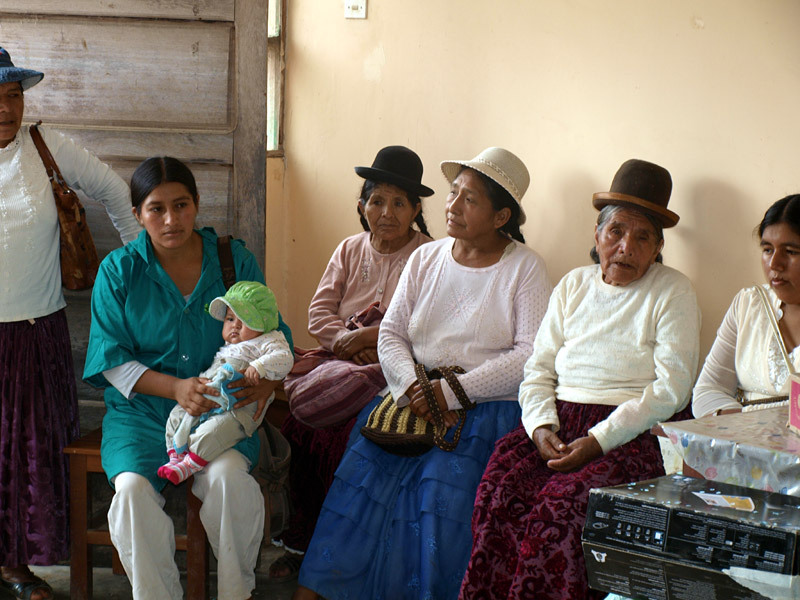 During the OWA finalist visit the leaders of EL CEIBO expressed their clear opinion that no individual person should be singled out to receive the OWA attention and recognition. EL CEIBO is a truly democratic organization that is based on communal principals and has a rotating leadership. Founded in 1977, EL CEIBO Ltd. is an association of cocoa producer cooperatives that has directed its efforts towards improving the production, processing and marketing of organic cocoa and its derivatives. The farmer organization consists of 49 primary cooperatives, distributed throughout the Alto Beni Region and other Bolivian regions, uniting more than 1,200 cocoa-producing families who are all organic and fair trade certified. The cultivated area totals nearly 5,000 hectares which translates into an annual production volume of 960 metric tons of cocoa. The head office and processing factory is located in the Bolivian capital La Paz at an altitude of over 4,000 meters. The principal task of the head office is to coordinate the collection of the cocoa beans from the cooperatives, their processing and sale in national and international markets, bringing economic benefits and improving the living conditions of its associates. Five chocolate and confectionary shops in La Paz form the back bone of the local marketing success story. 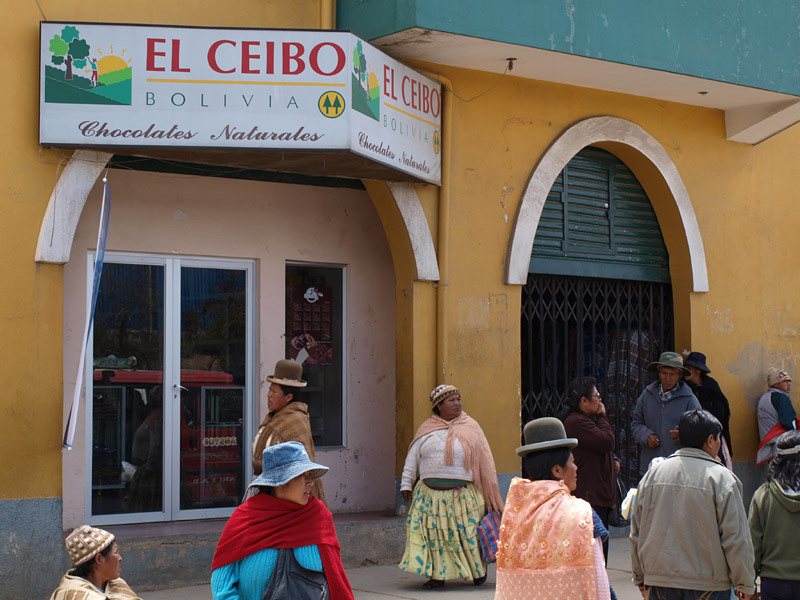 EL CEIBO currently employs 90 factory workers directly and provides for over 2,000 livelihoods. The Association also established the FOUNDATION FOR SUSTAINABLE DEVELOPMENT that is based in Sapecho / Alto Beni and that forms the technical and social branch of the cooperative. Among other things, the foundation is responsible for providing technical assistance and comprehensive training on quality improvement, productivity growth, organic and fair trade certification, agro-forestry systems as well as the development of the cooperatives and their members. It secures the cocoa volumes required by EL CEIBO and currently employs 50 workers. EL CEIBO is one of the first and therefore pioneering organic organizations in the Southern hemisphere and has become a highly successful cooperative and business initiative during the last 30 years. It is a “shining example” of the benefits that result when organic and fair trade come together. 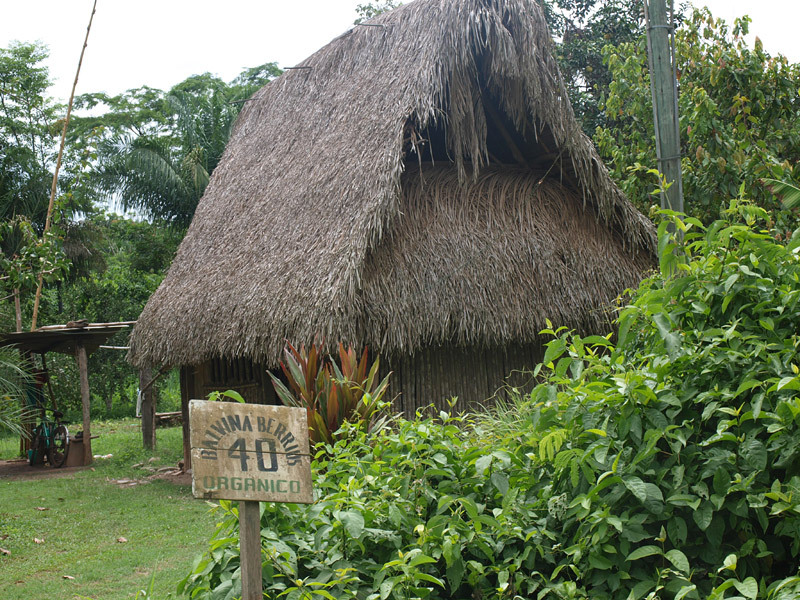 From the beginning, EL CEIBO has cultivated cocoa and other crops on the farms organically. The cooperative has also been certified by NATURLAND and BCS-Öko Garantie, a leading German certification agency. The inspections and certification are carried out by the Bolivian organization BOLICERT. The cooperative farmers are also certified by FLO–cert and market their products with the fair trade logo. Remarkable is the positive development respectively the fact that EL CEIBO shifts its commercial activities more and more to explore and develop national and regional markets. Already 40 percent of the production and income is achieved through regional/national marketing and the plan is to increase this share beyond 50 percent. 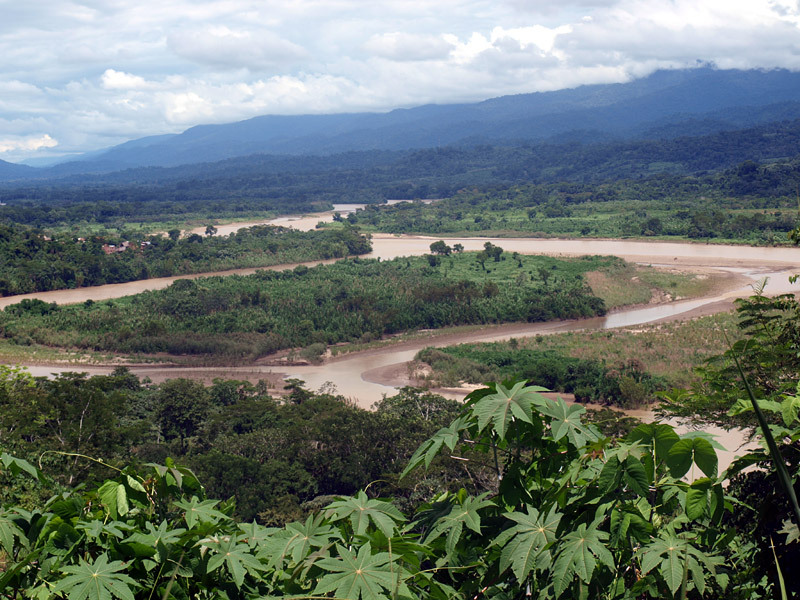 A lot of capacity building on environmental issues is central to EL CEIBO activities with a special focus on quality improvement and agro-forestry systems. Moreover, EL CEIBO runs a well maintained seed bank with local plants and produces more than 80,000 trees per year for the farmers (in various nurseries). The social agenda is very impressive with investments in schools, housing and health care. Women not only play a central role on the (cocoa) farms and as workforce, but also hold leadership positions. A women committee coordinates special projects and programs that focus on womens’ needs and issues. Important and promising is also the fact that EL CEIBO attracts and employs many young people in the countryside and thus helps to curb emigration of the rural young to the cities. What does the EL CEIBO success story mean in concrete terms? More than 1,200 cocoa farmers, almost 200 staff and more than 2,000 indirect jobs have significantly improved the life of more than 10,000 Bolivians. The nomination documents and more so the visit in Bolivia confirm that EL CEIBO is one of the best organized and most professional cooperatives and prove that cooperative systems are alive and meaningful. Additionally, EL CEIBO stands for organic farming and nature conservation at its best making it a proud show case example of the movement. And last but not least: The farmers and workers make many customers around the world happy with finest organic and fair trade cocoa and chocolates.